A 16-year-old girl is dead and four other teenagers were hurt in a rollover crash in a southwest Dallas intersection Wednesday morning. A 16-year-old girl is dead and four other teenagers were injured in a rollover crash in the Oak Cliff neighborhood of southwestern Dallas. 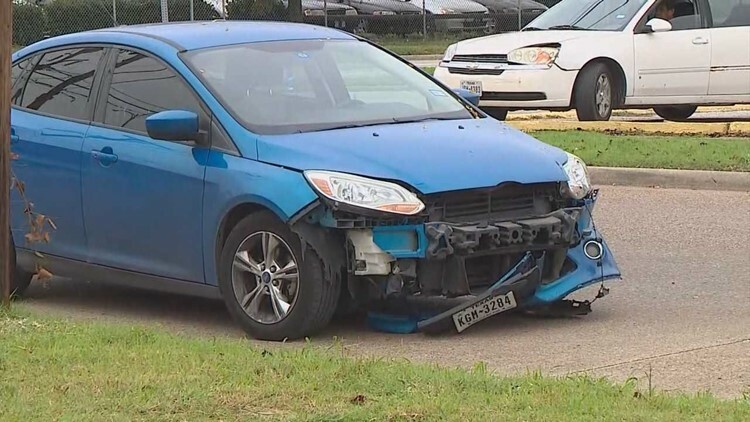 The two-car accident occurred near the intersection of South Westmoreland Road and Illinois Avenue around 8:30 a.m. Police say a Ford sedan heading westbound clipped the back of a northbound Nissan SUV, causing it to spin out of control into the southbound lanes of Westmoreland and hit a metal pole. 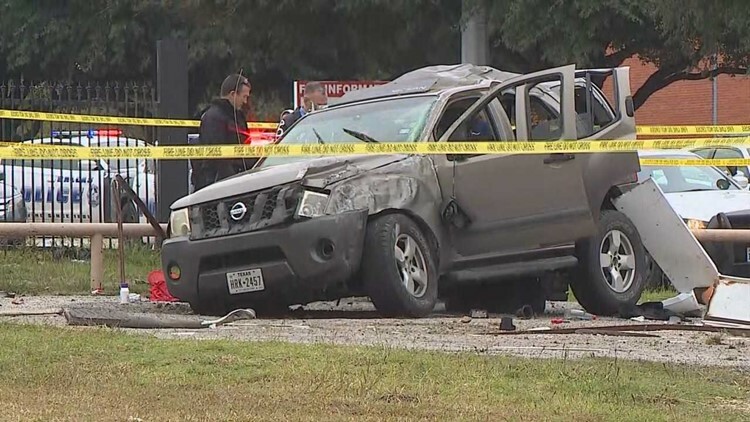 The victim, identified later Wednesday as Deisy Torres, was pronounced dead at the scene after being ejected from the right rear seat of the car, according to Dallas police. Three other teenagers in that car – a 16-year-old driver and two 15-year-olds – as well as one teenager from the other car involved, were taken to a hospital. A vehicle apparently involved in a fatal rollover crash in southwest Dallas Wednesday morning. “The injuries of those transported ranged in degree from serious to non-life-threatening,” according to DFR. Speed was "believed to be a factor," police said. It wasn't clear whether or not the people in the cars were wearing seatbelts. The teenagers involved in the crash were all students at Dallas ISD's Kimball High School, the district confirmed. The school said it would have counselors available Wednesday. "It was very hard to see, it was tough to witness," Dallas ISD spokeswoman Robyn Harris said. "This is the most challenging day we've had to deal with in recent months." Editor's note: First responders initially identified the victim as a 15-year-old girl. The medical examiner later said the victim was 16 years old.